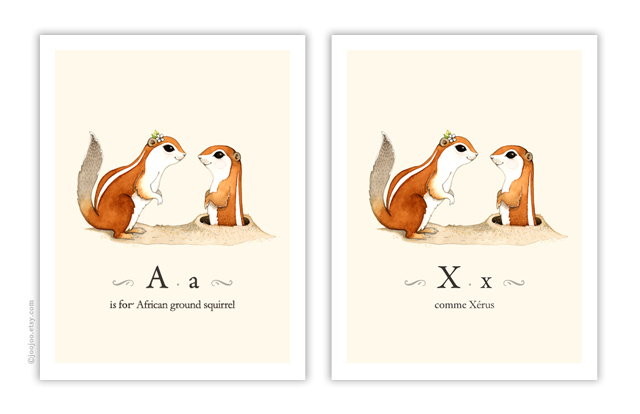 "X comme Xérus", "A is for African ground squirrel"
The last animal of my French alphabet poster. I will add the French poster to the shop soon. 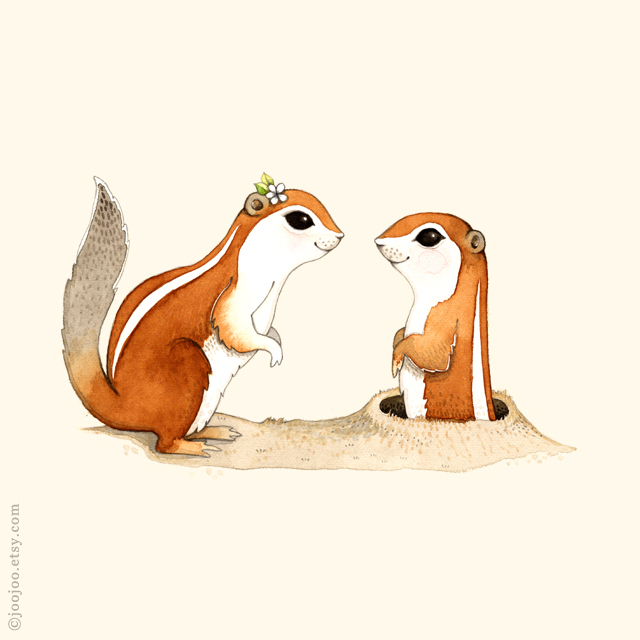 Find the prints of these babies in my Etsy shop. Once I'll have a child I will hang one of your alphabet posters in its room. 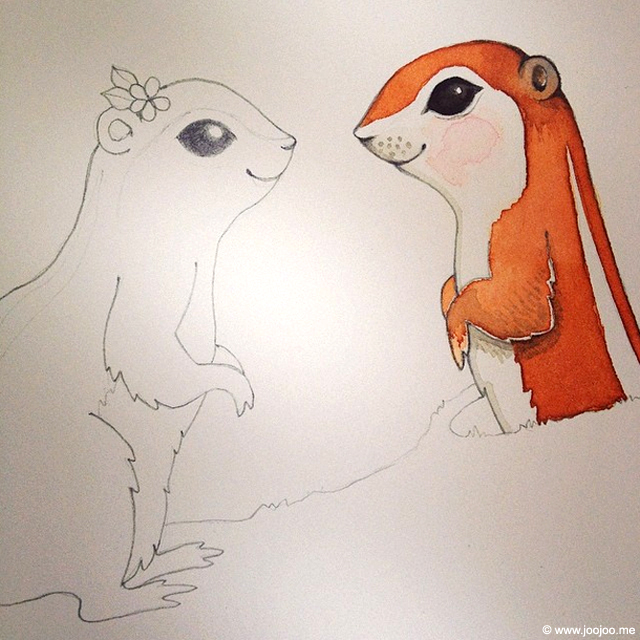 I totally adore the way how you draw the animals. They are all very lovely. Thanks a lot dear friends!! :o) You comments always make my day! French Alphabet poster is ready!! !